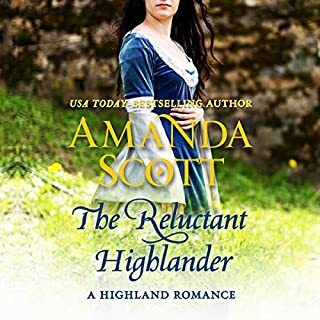 In the final volume of Amanda Scott’s engrossing Highland series, a Scottish heiress falls in love with a man who seems to have been plucked from her dreams. Penelope MacCrichton watches the tall, broad-shouldered figure walk toward her across the mist-shrouded loch. Is he a phantom, a restless, sensual spirit fated to live only in her secret fantasies? Or is he the seductive, brooding stranger she meets later in London…who may not be a stranger at all? Michael Mingary, Earl of Kintyre, is enchanted by the reserved Highland heiress, even as he’s haunted by unsettling dreams of a ghostly Scottish castle. 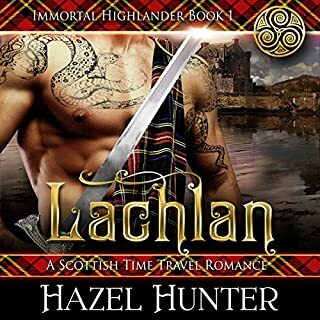 Desperate to save his family legacy, he strikes a bargain with the Campbells—a clan with whom he has an old score to settle. But when Penelope makes a bold counter-proposal, he’s tempted beyond all measure. Surrendering to passion, Michael and Penelope gamble on a love that holds the promise of the future—a love that could be the fulfillment of all their dreams. 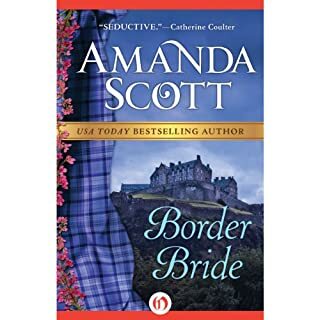 ©1999 Amanda Scott (P)2013 Audible, Inc.
What drew me in to this series were the beautiful details the author provides, the language and atmosphere were well written and enhanced by the narrator ...who was brilliant. The pace and tone of the narrator’s voice was captivating . The book was okay. Probably not as action packed as previous, but kept you listening. The BUT is though, you have to not mind one of the characters being raped. I do not like stories with that in it myself. True, the character was not a nice one and had walked herself into it, but anyone who says she deserved it are probably the ones who say a girl deserved it because of the way she was dressed. I also didn't care for how they characters acted afterwards. Basically, I almost punched a hole in a wall during that section the book. The book otherwise was well done, but just be warned in case you don't want to listen to a story with such subject matter. This book was no where near as good as books 2 & 3. There was no adventure or excitement until the end. I had to back up a lot to see who was talking, mostly because the narrator had no voice pitch differences between the male and female characters and when they switched from one to another I couldn't tell at first. I will say The ending was great, it almost made up for the rest. ALMOST BUT NOT QUITE.